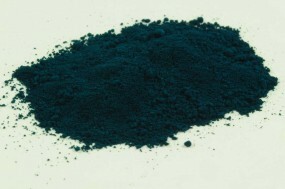 Phthalo Green Dark, PG 7 | Organic Pigments | Pigments of Modern Age | Pigments | Kremer Pigments Inc.
One might simply call Phthalo Green dark cyan. This corresponds to a large extent to the color of Viridian, however, Pthalo Green is darker and purer, and can be more bluish in tone. Phthalo Green mixed with white is more brilliant than Viridian. Customer evaluation for "Phthalo Green Dark, PG 7"